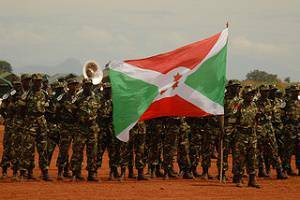 Burundi has seen on-off armed violence for more than 40 years since gaining independence in 1962. Its conflict issues, rooted in political and historical tensions between different social groups, has killed more than 300,000 people, many of them civilians. Mass killings in 1972 and 1993 are considered to be acts of genocide, according to the final report by the International Commission of Inquiry for Burundi presented to the UN Security Council in 2002. Although much of the violence has subsided in recent years, extreme poverty, a lack of law and order and ongoing human right violations, as well as the difficulty of integrating former rebels into state institutions, continue to be major barriers to stability and sustainable peace in the country. In April 2015, protests began against the president’s decision to run for a contested third consecutive term. Since then, the security situation has deteriorated, with more than 400 people killed and 200,000 fleeing to neighbouring countries.